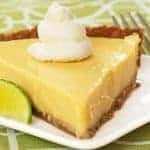 This delicious cheesecake-style pie is prepared completely in the food processor, making it a quick and incredibly easy dessert to prepare at the last minute for any occasion. 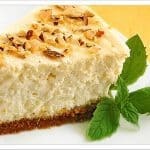 The combination of cinnamon, almonds and pears over a light cheesecake filling is simply divine. 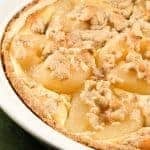 For a quick-to-fix pie that’s prepared in the food processor, this Pear Cheesecake Pie with an almond crust is lightly sweet and delicious. Place oven rack in lower portion of oven and preheat to 425°F. Spray a 9-inch pie plate with nonstick spray. In a food processor, pulse sugar and butter until well combined. Add flour and pulse until crumbly. Add ground almonds and process until the consistency is like wet sand. Reserve 1/2 cup and set aside. Press remainder of crust evenly into the pie plate. 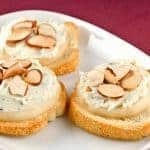 In the same food processor, process the cream cheese, egg, sugar and vanilla until smooth. 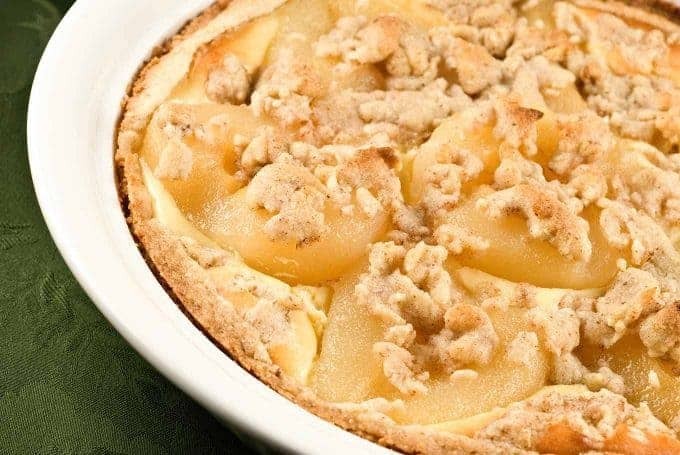 Pour into the crust, then arrange pear halves in a circle on top. Mix the cinnamon into the reserved crust mixture and sprinkle over the top. Bake at 425°F for 10 minutes. Reduce temperature to 350°F and bake another 35 to 40 minutes, until crust is golden brown and filling is set (when a knife is inserted, it should come out clean). Remove to a cooling rack and cool for 20 minutes. The pie can be served warm or chilled. 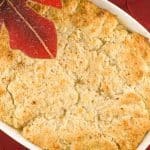 This recipe is inspired by a tart with a walnut crust in Marlene Sorosky’s “Fast & Festive Meals for the Jewish Holidays” (out of print).